A Little Trivia For Ya Tale of the Lost Swan Egg Book 1 in the Persimmon Tales by Kyra Dawson Has Finally Been Released! Kyra Dawson •February 11, 2011A Little Trivia For Ya, Books, Books On Film, Buzz!, Did You Know?, DVD, Face Time, General, Good Book Alert!, Good Movie Alert!, Housekeeping, Indie Spotlight, Interviews, Movie Comments, On the Casting Couch, Paranormal Entries, Predictions, ReHash!, Shout Out!, Something Wicked, TV, Vampires!, Word Of The Day, Youngling, Youngling's Pick of the Week! 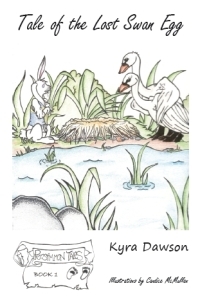 Tale of the Lost Swan Egg by Kyra Dawson Book 1 in the Persimmon Tales series for children. Hooray! It is finally here everyone! Come and celebrate with me on Facebook and Twitter! And don’t forget to visit Foden Press and the Persimmon Tales website! There’s going to be lots of fun and a couple contest announcements! Tale of the Lost Swan Egg released in print format. First in the Persimmon Tales series set in Stanley Park, Vancouver. While this is Kyra’s first children’s book in print, it is far from her first writing endeavors. She is a professional copywriter, blogger, ghost writer, editor and naming consultant of many years standing, plus she has had numerous short stories and articles published. 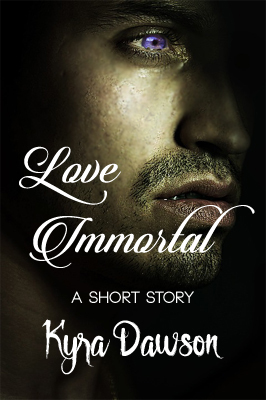 Kyra lives in Vancouver, Canada so she writes first hand of experiences in Stanley Park. In addition, Kyra is the editor for Rosie Reay’s companion series The Chimona Chronicles. These are also illustrated by Candice McMullan and published by Foden Press. Foden Press is an independent publisher of children’s books, as well as business How To Do It Business books and ebooks. They are based in Northern California, and may be reached at www.FodenPress.com. Call +1-650-960-0811. Professional reviewers of children’s books are invited to request review copies of any title. Tale of the Lost Swan Egg (ISBN # 978-0-9710157-2-2) may be ordered directly from Foden Press along with the companion Chimona Chronicles that are also set in Canada. Plus they are available at Amazon.com and bookstores nationwide. They are distributed by Ingram Micro. authors, kid lit, Kyra Dawson, Persimmon, Persimmon Tales, Stanley Park, Vancouver. Bookmark. Julia Roberts as the Evil Queen in Snow White! Hooray!